Undoubtedly, technological advances have expanded the possibilities of access to culture and science, but also changed the social perception of the rigor of knowledge. How are we related to culture and science in the digital era? This will be the focus of the talk Culture and Science in the Digital Era. 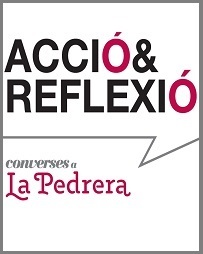 This activity is part of the “Action and Reflection” series of the Fundación Catalunya-La Pedrera. Will participate in the debate Joan Manuel Tresserras PhD in Information Sciences and Jorge Wagensberg PhD in Physics and will be moderated by Josep Perelló PhD in Physics. Date: Monday, May 4, 2015 at 19: 30h. Location: La Pedrera, Provença, 261 – 265. 08008, Barcelona.